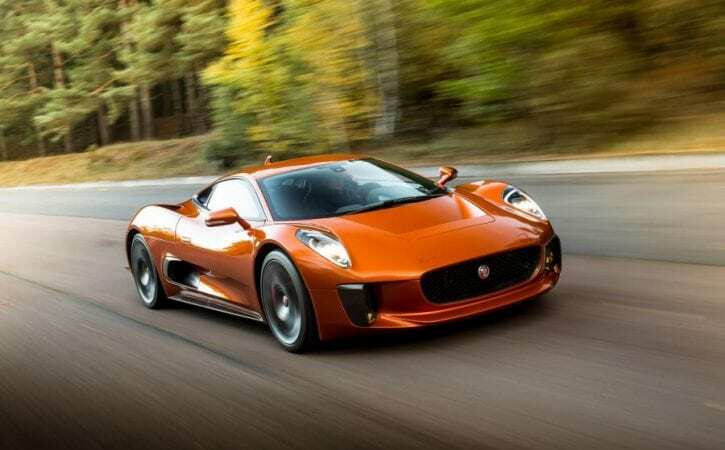 The Jaguar C-X75, as seen in the Bond film Spectre, will appear at the Autosport International show in January. Two examples of the Jaguar concept car will grace the show, with one in the Live Action Arena and the other being statically displayed alongside the historic Formula 1 cars also due to appear at Autosport International. Guests will be able to see the C-X75 in action during a demonstration in the live-action part of the show. Both cars were used during the filming of the 24th Bond film, Spectre, driven by the villain of the film, Hinx, played by Dave Bautista. Guy Martin, motorcycle racer and TV presenter, will also make an appearance at the show, riding a Honda CRF450 Short Track motorbike. Martin, whose other occupation is a lorry mechanic, presents a variety of motoring and transport-related TV shows, and will perform with his motorcycle at the show along with a group of other motorcycle riders. The line-up of Williams Formula 1 cars that is set to be displayed at the 2016 Autosport International show has also been revealed. The 1978 Williams-Ford FW06, Williams’ first car, will appear, as will the 1982 Williams-Ford FW08, driven by Keke Rosberg, along with Nigel Mansell’s and Nelson Piquet’s Williams-Honda FW11s from 1986. Mansell and Williams also breezed the 1992 Drivers’ and Constructors’ Championship of 1992 in the Williams-Renault FW14B, which will also be on display. Williams’ most successful ever model, the Williams-Renault FW18 of 1996, will also appear, as the show celebrates the career of its driver, Damon Hill. Other models appearing include Juan Pablo Montoya’s 2003 Monaco Grand Prix-winning Williams-BMW FW25, Pastor Maldonado’s Williams-Renault FW34, in which he won the 2012 Spanish GP, and the 2015 Williams Mercedes FW37 in what will be one of the largest gatherings of Williams Formula One racers outside of Williams HQ. 1996 Formula 1 World Champion Damon Hill will be reunited with his Williams FW18 racing car as part of the show, 20 years on from winning the Formula 1 title. Hill started his F1 racing career with Brabham in 1992, but is most heavily associated with Williams. He first raced for the team in 1993 alongside Alain Prost, and partnered Ayrton Senna in 1994. In 1996, with the car having taken 12 wins from 16 races, Hill was crowned champion at the Japanese Grand Prix. The Autosport International show will also feature the Williams Martini Racing motorhome as one of its central features. As well as showcasing its historic race cars from the company’s beginnings in 1978 up to the latest 2015 Williams-Mercedes FW37, one of the team’s racing motorhomes will be set up next to the main Autosport stage, allowing fans to see inside the eight-metre-tall structure as it is erected away from a race event for the first time. Fans will be able to see cars from Williams’ past up close, around the stage and motorhome. The firm’s advanced technologies division – known as Williams Advanced Engineering – will also be celebrated. The division, which is tasked with finding new applications for F1-derived technology, already supplies all the batteries for the FIA Formula E Championship and made the Jaguar C-X75 hybrid supercar in 2010. Also on show will be the Williams Heritage division, which restores classic racing cars for private owners.